Please pray for Palestine/Israel, especially southern Israel and Gaza where the killing by both sides is killing the innocent as well as the guilty. Hold all people in the Light. The whole situation of Palestine/Israel is so very complicated. I don't have any quick answers for the extremely complex situation. However, I did live in Palestine/Israel in 1974, worked on a Jewish kibbutz, stayed briefly with a Palestinian family who befriended me in Nablus, and have read extensively books by both sides, etc. them when they were dumped midwinter into Lebanon years ago). For instance, Eli Chacour a Palestinian/Israeli Arab priest gives out the Good News to all. He has worked with and started a school/university for all peoples of the area--Christian, Muslim, Druse, and Jew. He has also befriended non-theists. Yet Chacour still shows love to the Jewish people and all others. the only war worth having. Religion, indeed all human thought and action, seems given to divisive fragmentation--to one extreme or another; almost always leaving us unbalanced, often distorted in our quest for truth. 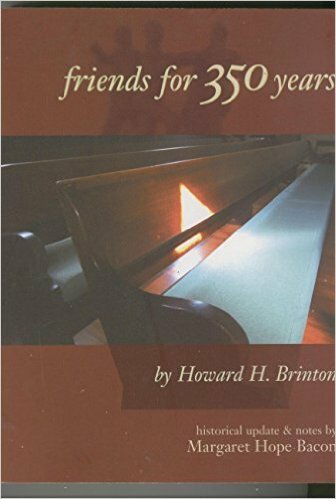 As Howard H. Brinton insightly explains in Friends for 300 Years this fragmentation even happens to renewal movements such as the Friends who came into being for the very purpose of regaining the wholistic truth. Yet the Quaker movement itself swings between 4 poles, seldom seeming to walk in wholeness. 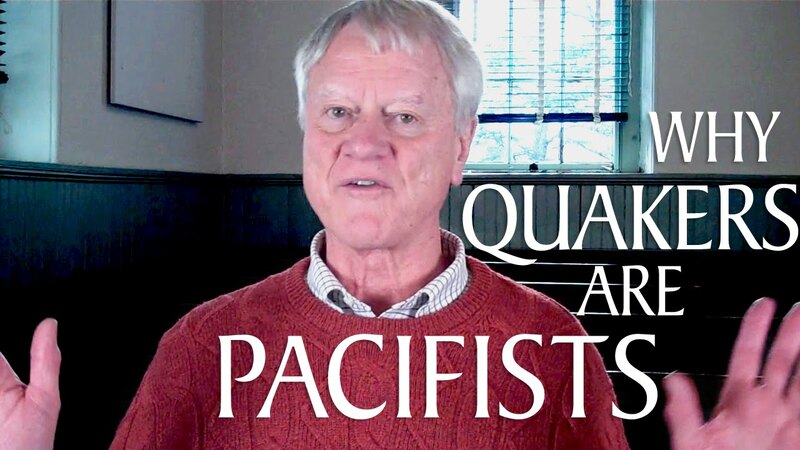 "Through the three centuries of Quaker history the four primary elements present in all religion have at different times exerted their influence in varying degrees." during the nineteenth century mysticism and evangelicalism were in conflict, each pressing the other to extremes in the group as a whole, though in many individuals the two were in balance; and during the past half century rationalism and humanitarianism have assumed greater prominence, sometimes becoming dominant, though here again there are some individuals in whom the four tendencies are in balance." too dominant an evangelicalism results in religion which is authoritarian, creedal and external; too great an emphasis on rationalism results in a cold, intellectual religion which appeals only to the few; too engrossing a devotion to the social gospel results in a religion which, in improving the outer environment, ignores defects of the inner life which cause the outer disorder." "In Quakerism the optimum is not equality in rank of the four elements. The mystical is basic." Brinton goes on to warn against "vitalism which worships the life-force in its biological sense" and the other distortions of true worship. About the only point where I disagree with Brinton is when he says the 4 qualities "each exercise a restraint on the others." It is rather that when most bathed in the Light, the 4 parts of true spiritual reality relate/commune, giving a redeeming uplifting of each other and are the Seed of Ultimate Fulfillment. and be not only intellectually enlightened, but raised up in the Spirit! Probably in human history there is no sin, no evil worse than human warfare. Literally millions upon millions of innocent people have been slaughtered in the name of God. That doesn't even deal with the multi-millions of soldiers who chose to kill each other in countless battles. Over 100 million unarmed civilians were slaughtered in the 20th Century alone. Even we Friends started out supporting religious war. According to First Friends a biography of George Fox by H. Larry Ingle, some early Friends were in the New Model Army of Oliver Cromwell during the English Civil War. Those devout Christians would go off to stealing, destroying, and killing while singing, joyously, psalms to their God. 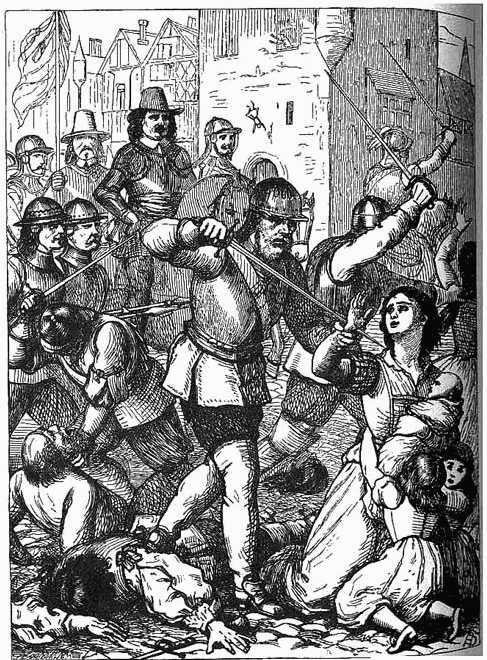 However by 1652, George Fox wrote: "That which is set up by the sword is held up by the sword. That which is set up by spiritual weapons is held up by spiritual weapons, and not by carnal weapons." "The peacemaker has the kingdom and is in it, and has Dominion over the peace-breaker, to calm him in the power of God...The days of virtue, love and peace are coming, and the Lamb...shall have the victory." 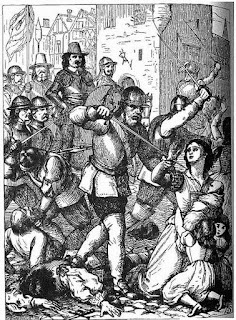 Indeed, Quakers came to speak of "The Lamb's War"--the spiritual war by which all forms of human warfare would be defeated by God's love, by the cross of redemption. One of the best true stories of this "Lamb's War" concerns a Christian attacked by two thugs in New York City. In the process of robbing him, the criminals poked out his eye! However, rather than wanting and seeking revenge, he forgave the thugs and showed them God's forgiveness and concern--"warring" on them through love. He visited them regularly in jail. When one of the criminals later got out of prison, the Mennonite helped him get an education. Then he helped the former attacker to go on to college. Eventually, that former thug became an eye specialist and helped people with eye problems. Love overcame evil not by destruction but by creation. Now that is a wondrous story of redeeming love. Of course, showing forth God's unending love doesn't often end happy in this life. Many thousands of Friends, Anabaptists, heretics, etc. and many, many other people committed to loving their enemies have died horrific deaths as did Jesus himself. From the cruel torture device of Roman 'justice,' Jesus said, "Forgive them for they know not what they do." The Quaker Tom Fox who moved to war-torn Iraq to witness for peace and justice was kidnapped and brutally murdered by the Muslims he had come to help. Let us live in the compassion and altruism of hope, live the "Lamb's War," to defeat violence with love. And as I share below, God has, a few wondrous times, overwhelmed me with his Presence far beyond my wildest ideals and dreams. so much of my life (and I suppose most other people's lives) has been lived and continually needs to be lived in the humdrum, the routine, the repetitious, the mediocre, the dull, the boring --yes the drudgery and sludge of the average day. Yet I long for, like the Psalmist speaks of, thirst for the wondrous and the true and the good and the loving. Recently, I came across an insightful quote that helped me in my daily quandary; it revolutionized my thoughts of communion with God, since so often I am disappointed with how shallow, even dry, my experiences seem on any given day, especially on days taken up with the hectic or the tragic. When you feel abandoned by God yet continue to trust him in spite of your feelings, you worship him in the deepest way." not primarily feeling or experience. by God before time began. I refuse to accept such horrific theology. When so unexpected my mind transports. My bodied self sitting with the staid cans and jars. Great parabled One Pearl of Being. May you find the Divine in your daily giving actions and at least once in an overwhelming mystical experience. At tragic times in my life, when disastrous circumstances overwhelm and all hope seems lost, I drown in despair. And I feel, unbelievably, even worse, because as a Friend, a follower of Jesus,I am supposed to be one living in hope and joy. The Good News of Christian hope is the answer for the world of despairing humankind, of those who suffer in agony. So why am I still caught in suffering and despair? No, my own despair is in the midst of the relative comfort of California where most citizens live with more physical necessities and amenities than 99% of humankind ever had. destructive, keeping me often from accomplishing more in the world to reduce others' suffering. However, rather than dwell on the ugly facts, let me hasten to a wondrous discovery that came to me one day deep in my bereft hopelessness. It suddenly dawned on me that Jesus, though the messenger of God--is here with me--with all of us who suffer and agonize. I am not talking about his triumph but of his own despair, his cry from the cross--"My God, my God, why have you forsaken me?" But now, suddenly, they were words for me, to me...words that made me realize Jesus has been where I am, has felt that hopelessness that totally empties and yet gluts one with agony. He has gone deeper into hopeless despair than any drowning of my own, down more into the abyss of loss. Not only did he lose his career, his relationships with others, his family, then was betrayed, and finally endured excruciating physical pain--he suffered all of those--but in the end he was executed, numbered with the criminals, the terrorists, the rejects on a cruel Roman torture device where the pain was unbearable. In Roman justice only the worst of the worst were assigned to the cross. And with this shocking discovery--that the son of man experienced ultimate despair and felt totally abandoned--I realized that there is still hope for me (and for all others who suffer much worse than myself). It never ceases to trouble and shock when I re-read in the Gospels how even John the Baptist, who had first announced Jesus as God's Chosen One, later in prison became so devastated in his grief, so hopeless, that he severely doubted Jesus was truly God's answer to human suffering and evil. From the "dark night of the sou" of St. John of the Cross to the present, so many Christians who have lived for hope have gone through the abyss when all assurance has seemed lost. George Fox at one point spoke of how he experienced an "ocean of darkness." As I recall, he suffered with despair for at least two weeks, so bereft that he lay in bed unable to function. Now at this point in my reflection I could launch into the traditional good news message of salvation that energized the first Quakers so deeply they traveled across the known world to share their faith--and I do, very deeply, have faith in that wondrous story--but my intention in this meditation is of a different sort; it's to communicate the vital truth that no matter how deep our loss, how terrible our agony, how absolute and ultimate our despair, God is there for us, with us, within our terrible loss. Indeed, God suffers all that we deeply and so ultimately suffer; God carries within God's essence the pain and suffering of us all, indeed of all the pain and suffering of the Cosmos. Before God saves, God loves, identifies, experiences, suffers with us. Of course, this makes no sense from a scientific or mathmatical point of view. It is spriitually discerned, an ethical truth not a sense observation. God is not an object that can be weighed in objective scales. God is the source of all being and becoming, so can only be known subjectively. Furthermore, such incredible hope does seem when looked at rationally to be absurd. Still, I think we ought to seek to love God with all of our mind, even though ultimately God is beyond human comprehension. But the wonder of wonders is our hope that Ultimate Reality actually cares and suffers with us and for us--we finite beings, conscious primates on a small planet in minor solar system in one small edged swirl of the cosmos. Despite the ruthless nature of the observable world, the good news is first and foremost that Ultimate Truth experiences what we experience and most deeply loves us even at our worst. Despite my best efforts, I've never been able to give myself to God ultimately, except in fragmented inspired moments. But thankfully, the Divine in contrast, has given ultimately to us.